Testimonials - IMAGINE RESPITE SERVICES INC.
"I like doing things on my own and go to places and to work. I need some help to do this. I like the staff at Imagine Respite Services who help me to do this. They let me make decisions and be an adult". "I have used Julie’s services since she started up her business. She has been a godsend to us. My daughter lives in her own place and Julie and her staff has enabled her to be with her friends, supported her in her home and increased her independence and being part of her community.Imagine Respite Service’s is a unique service that believes in individuals contributing to their community and in keeping small groups that can have individual attention as needed. My daughter has learned how to go the plaza with a friend on her own and order and pay for her drink. She also volunteers at the local plaza and has become quite well known. A very satisfied customer". "My adult daughter has been attending Imagine Respite for over two years. One of the things that I love about it is that Julie has made connections in the community so that Katie is out in the community and developing basic work skills as a volunteer at a variety of these locations on a daily basis. Julie sets realistic goals in all aspects of Katie's development and as a result Katie has made good gains in independence. I highly recommend Imagine Respite to any parent looking for a nurturing, challenging and community focused program". "My son Peter has been involved with Imagine Respite since before its inception around 4 years ago. Since that time he has been on numerous outings and overnight excursions that have been meticulously planned. Julie Brokelman looks after every detail from the planning of the outing to the staffing, transportation, lunch prep and any other related details. Peter has gone bowling, mini putting, on nature hikes, swimming, to the library, to Variety Village, camping, and to the mall, to name a few. He has been involved with Photo Club and has attended many holiday related craft days. He has also attended holiday related dinner parties. He has had the opportunity to go to Niagara Falls and camping a few times and even to Cuba last February! Imagine Respite has helped make all this possible, but I think the most important contribution Imagine Respite has made to Peter’s lifestyle is the creation of a solid circle of friends. 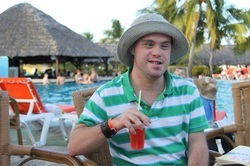 Many young adults with disabilities do not have this luxury but Julie has facilitated positive interaction between his group of friends and within the community. This has been invaluable for Peter and his friends. I would recommend Imagine Respite’s support services to any family of a young adult with a disability". "I am so happy to have Julie’s services available for my adult daughter. Since participating with Imagine Respite, my daughter has made many positive changes, including being more social; she is able to interact with her friends more easily; she has made new friends; her self-esteem is much improved and she continues to gain more independence as time goes by. Julie has supported my daughter with living semi-independently in her own home. I wouldn’t hesitate to recommend Imagine Respite Services to anyone wishing good programmes and genuine care for their disabled son/daughter". "We have known Julie for over four years. 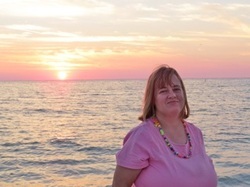 Julie is a very caring, committed and dependable young lady, who has our children's best interests at heart. She provides many services under one umbrella. She and her team, Imagine Respite, are very committed to our young people. The team is young, which works extremely well with their young clients. When we were out of town for nine months, Julie took on the role of Derek's Facilitator, which has continued, supporting him in his own home. Julie accommodated us by providing us with extra services, doctors appointments, transportation and included 1:1 outings. Staff come in 3-4 times per week. In this role, Julie and Derek plan his week, meals, shopping, cleaning, laundry and also extracurricular and w/e activities. Imagine Respite Services provides Derek with new friends, opportunities and outings; bowling, mini-golf, Photo Club - a favourite, w/e trips away including camping - he loves spending time with friends and the team. Weekend activities were always a problem - not any more ! We would wholeheartedly recommend Imagine Respite Services to you. Join this fun group!" If you have a testimonial you would like to put on our website, please fill out the form below!